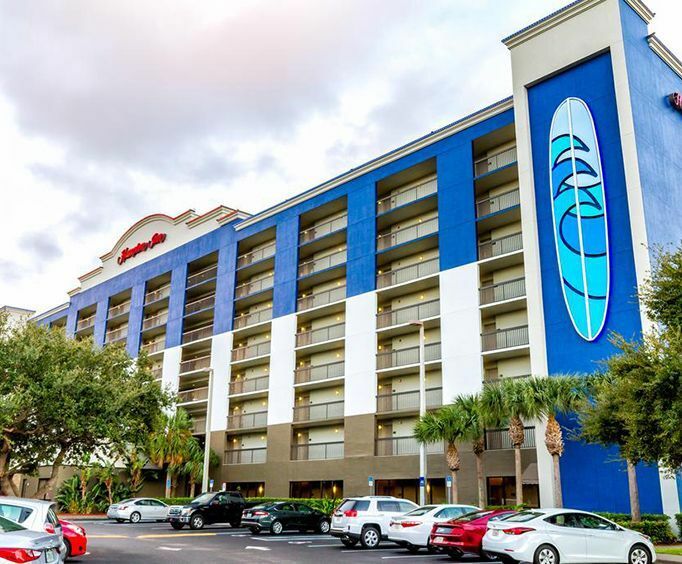 The Hampton Inn Cocoa Beach/Cape Canaveral is just a five minute walk from the beachside. The hotel provides a fitness center and outside pool for all its guests. In the morning a hot breakfast awaits and for those guests on the go, there are pre-packaged on the run bags during weekdays. Snorkeling and fishing are some of the activities provided on-site. For anyone interested in learning how to surf, the Cocoa Beach Surf School is less than a mile away. 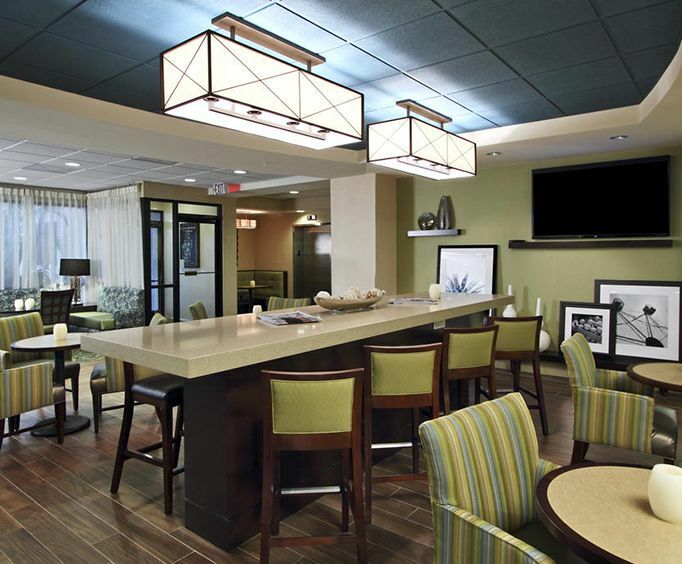 With its great location near the Atlantic waterfront, the guests will find it easy to unwind. Guests can feel the soft breeze of the Atlantic when they book an ocean view room. Whether the stay is for a business meeting or a family there is a room to suit all needs. Kayaking, Jet Ski rentals, and parasailing, are a few of the activities within just five miles distance of the hotel. For the guests looking to step away from the beach, the Kennedy Space Center is the perfect place to spend an afternoon. Less than a half hours drive away it offers the chance to see the space shuttle Atlantis up close and experience a shuttle launch take off in an interactive simulator. 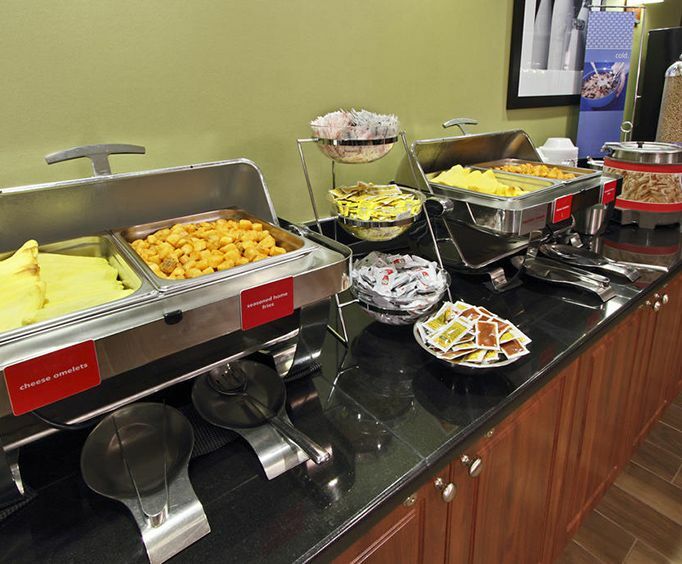 All the amenities to make guests feel right at home are offered. These include coffeemakers, mini refrigerators, iron/board and microwaves, high speed internet and HDTV movies. Room service is available from the on-site restaurant The Bistro when open. Want something different to eat? The Sandbar Sports and Grill as well as A NY Pizza Place offer diners something different and are both conveniently located within one mile of the hotel.